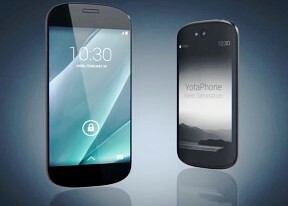 The YotaPhone 2 comes with Google Chrome as the default web browser out of box instead of the generic Android browser. While the minimalist interface hasn't changed since Chrome launched on Android, the browser is being constantly refined by Google, and this has resulted in one of the smoothest and most powerful browsing experiences we've encountered on a mobile. The Reduce data usage option does what it says on the tin - Google servers compress the webpage (using Google-developed tech like SPDY and WebP) before sending them to your phone thus saving you data traffic volume and bandwidth. Google Calendar received a major overhaul. The app features sleek new look that features different graphic for each month. It can automatically add events straight from your Gmail account, so you don't need to worry about flights, dinner reservations and the likes. YotaPhone 2 also features the Office Suite 8, which supports creating, viewing and editing office files (docs, xls, ppt), and it can also read PDFs.